Lost Generation? I Don't Think So! Such a wonderful day this has been! Dinner is in the oven and the day has been pain free from the migraines I had all last week. Nine days and counting until my friend Kim from Cabin Creek Farm arrives from Virginia – I haven’t seen her for a good number of years and am so excited that she’s coming to the three day class hosted by me and taught by Kris McDermet weekend after next. The handmade nametags and bag tags have been made for all the students today. 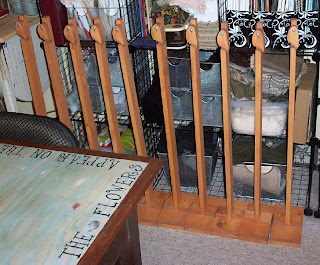 The braiding stands are all put together and standing at attention like a row of flamingoes in my studio. 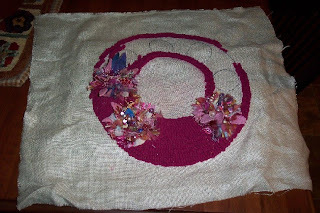 I even had time today to work on my girly wreath that is half, well a quarter done and a friend has already claimed because it’s pink. 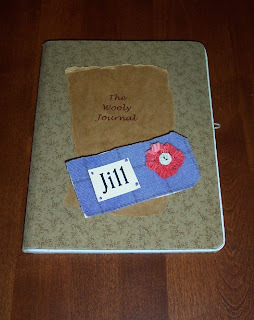 Tonight I’m going to leaf through my Wool Crazy book again that I bought from Brenda at Pumpkin Patch Primitive Quilt Shoppe and figure out what my theme will be – I think I know but will post more when I’m sure. She has started a blog for everyone who is making the wool crazy quilt blocks and I can’t wait to get started (in my spare time LOL). Could it be a more scrumptious way to start the week? Thank you God! Thanks for your nice comment on my new cardigan. I have been wearing it a lot in Holland, it's so warm and cosy!!!!!! Glad you are migraine free! That is just no fun at all.